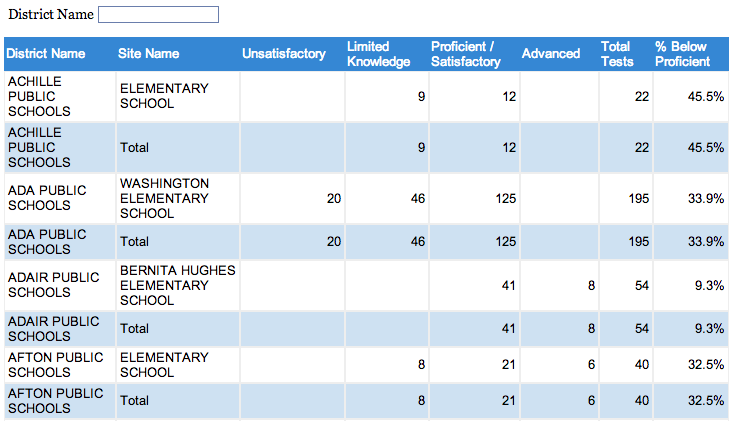 Searchable database of third grade reading scores. To find out how many third graders in your district or school scored on the Oklahoma Core Curriculum Test on reading in 2012, type in the district’s name and press enter. Blanks mean the number was below 5 and thus was withheld by the state to protect students’ privacy. To group results, click on any column heading.